Preparing yourself, your family and your home is your responsibility. The more you prepare your home the better the chance it will survive a fire, even if you are not there. The majority of houses can survive most bushfires with planning and effort. A well prepared home will give you more protection if a fire threatens suddenly and you cannot leave. During a major bushfire, firefighters will be working to stop the fire. A fire truck and water bombing by aircraft cannot be guaranteed to defend your home during a bushfire. Bushfires can start suddenly and without time for firefighters to issue a warning. Make a plan for what you will do if a bushfire occurs and practise it regularly with your family. Having a plan could be the difference in saving you and your loved ones lives. It is your responsibility to reduce the risks and take actions to protect your home and your family to survive the bushfire. What will you and your family do to be safe? You need to make a commitment to develop a bushfire survival plan that details preparations and actions you will take if a bushfire threatens. Reducing vegetation, rubbish and anything that can burn from around your home will increase its chances of surviving a bushfire. A building protection zone (BPZ) is an area extending for at least 20 metres around a building on all sides where there is little or nothing to burn. In suburban areas this may mean that your whole block will be part of your BPZ. Embers may still enter the home from the air, but taking steps to reduce fuel from around your home will increase its chances of survival. For at least 20 metres around your home and other buildings: Cut long grass and dense scrub. Remove dead material. Remove all rubbish and rake up leaf litter, twigs, bark and material that may catch fire. Maintain a minimum two metre gap between your house and tree branches. Make sure that no trees overhang the house. Prune lower branches (up to two metres off the ground) to stop a fire on the ground spreading to the canopy of the trees. It is important you understand how bushfires behave to help you protect your family and home against them. All fires need fuel, air and heat. Vegetation around your home like dry grass, leaves, twigs and bark provide fuel for a fire. This fuel plays a part in how hot a fire can be and how fast it can spread. If fuel is removed, the fire will starve. Bushfires generate unbelievable heat. Much of this heat goes up into the air but significant heat also radiates at ground level. This radiant heat spreads the fire by drying out vegetation so it will burn. Radiant heat is the main cause of people dying in a bushfire. Radiant heat may not set fire to your home but it can crack and break windows that will allow embers in. The best protection from radiant heat is distance. Even if the fire front does not reach your home it can still be damaged by burning embers carried by strong winds. Embers can get into your home through gaps in roofs, walls, evaporative air conditioners, windows and doors. They can land on materials that easily burn and this can start a fire. Research has shown that ember attack is the main reason that houses catch fire during a bushfire. Embers can continue to threaten your home even after the fire front has passed. When materials close to your home catch fire flames can touch the outside of your home. How long flames are in direct contact with your home depends on the amount of fuel to be burnt. A bushfire needs air to keep going and the more there is the faster the fire burns. Strong winds not only force the fire along but also increase air circulation and provide more air. Any change in wind direction or speed can rapidly increase the rate of spread and the direction of the fire. The prevailing afternoon breeze in summer presents the most common threat as it fans bushfires when fuel is at its driest during the day. Strong winds usually come with bushfires and as the wind increases so does the fires temperature. The wind pushes flames closer to fuel making the fire travel faster. Embers and other burning materials are also carried by the wind which can damage homes kilometres from the fire front. All of the above is great advice in the preparation of your property to reduce incidence from Bush Fires. It’s time to get ready for summer. 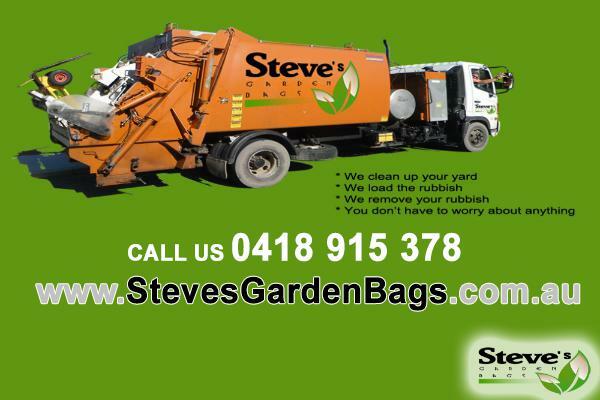 Steve can help you with your bulk rubbish removal and ready your property for the Bushfire season. Whether you are in suburbia or on acreage we can remove your rubbish by bag or by bulk collection. ***This original article (http://stevesgardenbags.com.au/?p=231) from Steves Garden Bags is available for syndication. Not everyone has a green thumb, but everyone can grow a garden with the right guidance and a little decision. This short article presents a variety of concise ideas that can assist you to obtain more from your efforts. Tulips can be a beautiful external border for your garden. These beautiful flowers are the very first to bloom in the spring. There are many vibrant colors of tulips therefore, they can quickly add beauty to your garden. Tulips will certainly bloom while a few of your other flowers are still waiting to pop out. This implies you will certainly have a more colorful garden, for a longer time period. Ensure your pot is the ideal size for your plant. If the pot is too little, the plant’s roots may not have enough space to grow. The roots will certainly become “root bound”, stop growing, and begin to suffocate. The size of the root system can determine the size of your plant and yield. As soon as you start gathering produce from your garden, share it with your loved ones. It is extremely pleasing to offer them a gift containing something that you made with your own hands. Seeing the pleased reactions of the receivers, also encourages you to continue working hard on your garden. About three weeks prior to growing your garden build up your soil by adding some raw material. Raw material, such as garden compost and fertilizer, enhances the condition of your soil by including nutrients and helping the soil to much better retain water. You can purchase bags of raw material at garden stores, or in the gardening area of the majority of hardware shops. Have an excellent stretch prior to starting gardening work. A good 5 to 10 minute stretch will help loosen up the muscles and get the heart rate up. The bodies’ muscles work better and are less prone to injuries when effectively heated up. Walk around the garden a couple of times and do a couple of basic stretches and the time in the garden will certainly be a more pleasurable experience. When growing a garden there ought to always be space reserved for necessary kitchen herbs. These are offered either fresh or dried in the supermarket and are constantly pricey. Mint, parsley, basil, dill all can be grown in practically any environment. Also, these herbs are very simple to grow and can be made use of every day in the kitchen area, and exactly what is not made use of can be dried and saved for later use. Think thoroughly about how you are going to lay out your vegetable garden. Unlike a lot of other gardens, you want to consider functionality over visual appeals for your veggies. Some veggies release chemicals that can prevent another’s development; some tall veggies may overshadow little veggies, which may not permit them to grow and ripen. Look at each vegetable plant’s homes and carefully think about where to put it in your garden. Gardening is a fun pastime for people of all ages. You can make a lovely flower garden in your lawn, or grow tomatoes in small pots on your veranda – the list of alternatives is limitless. Almost any lifestyle can accommodate some kind of gardening. Relax and enjoy exactly what nature needs to offer you. Follow this link if you want to learn more about garden waste removal. It’s all so nice to look at your garden full of life once you’ve done your gardening right. However, one thing that people don’t enjoy as much but is part of gardening will be rubbish removal. If you are a serious gardener and are always trimming and tidying up your garden, you would have noticed the amount of rubbish that you will need to clean up after. 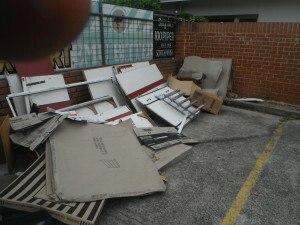 Good thing there’s bulk rubbish removal services to help you with this task. Although there are other services that you can take advantage in tidying up your garden like traditional skip bins, bulk rubbish removal would be a far better choice than this. Instead of using skip bins where you have to do all the work like cleaning up your garden and loading the skip bin to be taken away, bulk rubbish removal services are a lot easier. 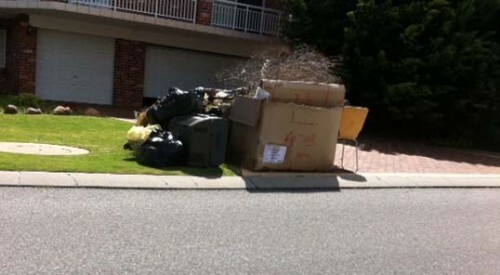 With bulk rubbish removal services, they will be doing all the work for you. All you need to do is to tend to your gardening and let the rubbish removal team do all the cleaning up for you. This saves you more time to do other things that you enjoy instead of the tedious clean up after gardening. 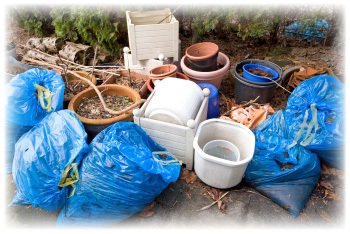 Bulk rubbish removal services can easily be found if you are searching for one. You simply need an internet connection to start searching for the nearest establishment that would offer you the bulk rubbish removal services that you need. You can even research about the company you are looking to hire and learn more about their services. This would be the perfect time for you to do some window shopping and see which company gives the services you need at the right price. Services and price packages are most likely available in their websites. The best thing to do would be to read up on them and decide whether or not the services they offer are fairly priced. There are a lot of bulk rubbish removal services out there; all you need to do is to find the best one that would cater to all the services that you are looking for. If you need more information about bulk rubbish removal, you can always go online and search for more information through forums, and articles that are scattered all around the internet. Read up on them to learn more about bulk rubbish removal services and arrive at the right decision as to which company to hire.